In a recent study on LMMAs in Kenya, Kawaka-et-al-2016 we found that LMMAs go through five phases to become fully established and operational: i) Conceptualisation, ii) Inception, iii) Implementation, iv) Monitoring and management; and v) Ongoing Adaptive Management. Of all the phases, the first is the most significant and involves lots of training and awareness on the marine environment and best practices in managing marine resources. Successful development of LMMAs is attributed to leaders who champion the LMMA process, informed and committed community members, awareness and training in community based marine resource management, political support, a clear legal framework and an initial external source of funding. Exchange visit to an existing LMMA appears be an important catalyst for a community to establish their own LMMA. Sustainable financing for LMMA operations continues to remain a challenge. 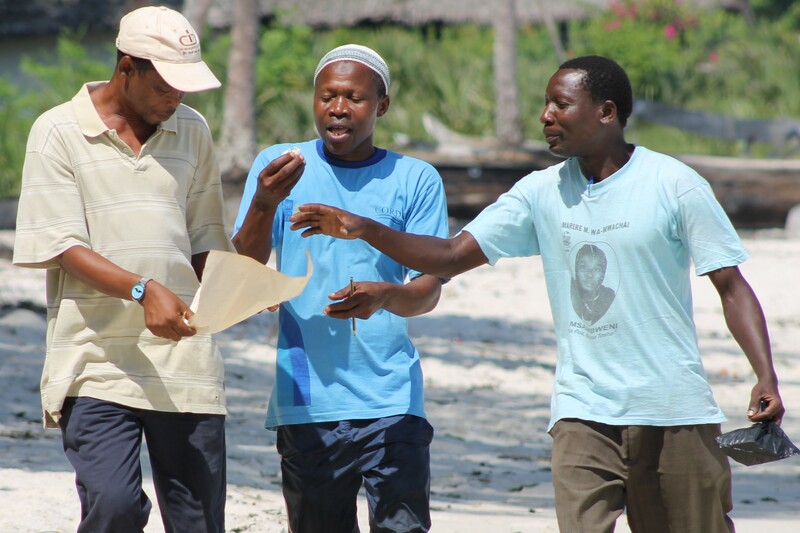 Our contribution in LMMA development is built on 15 years working with fishing communities in Kenya, Tanzania and Mozambique. 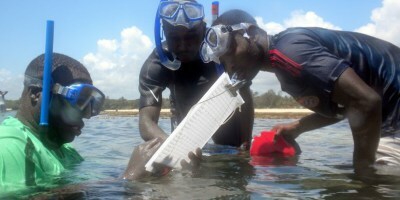 Between 2013 and 2015, a major project in Kenya supported by the UNDP Small Grants Programme (SGP) saw the development of legislative guidelines for LMMAs, a Training toolkit for LMMA management and a community coral reef monitoring manual that provides practical methods for coastal communities to assess the condition and their coral reefs and hence the effectiveness of their LMMA. Between 2013 and 2017 CORDIO worked with IUCN, the Cousteau Society and the Ministry of Urbanism, Housing and Environment to implement “The Lower Awash-Lake Abbé Land and Seascape – Enhancing biodiversity conservation in transboundary ecosystems and seascapes” project – a component of the IGAD Biodiversity Management Programme in the Horn of Africa. As part of this project we worked with fishers in Arta Plage to develop an LMMA. 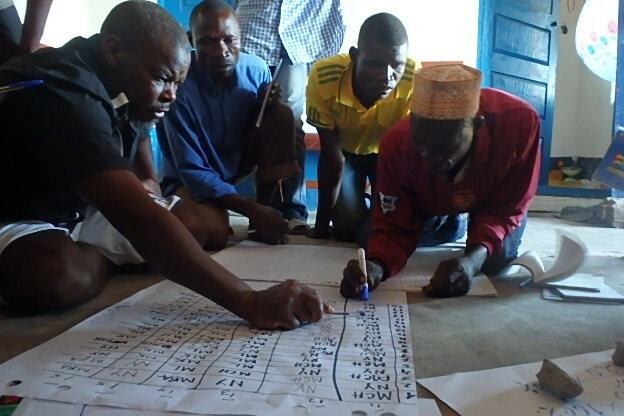 The community moved fast to establish the first LMMA in Djibouti in less than six months, producing a draft co-management plan for the Arta Plage LMMA. One of the first activities in this development was an exchange visit by Arta Plage community members to Kuruwitu LMMA in Kenya which was a significant impetus to the Djiboutians to establish their own. The exchange visit and the development of LMMAs in Kenya are featured in the recent film “LMMAs in Africa”. CORDIO is also implementing a project “Securing marine biodiversity through sustainably-financed and community-managed marine areas in coastal Mozambique”, in Cabo Delgado, northern Mozambique, that is funded by the European Union and led by the Zoological Society of London (ZSL). CORDIO is providing supporting scientific data to the establishment of community-run models for managing marine areas. We have contributed ecological and fisheries data to help Community Fisheries Councils (CCPs) establish and implement management plans, including no-take zones and temporary closures, and provided training on community based reef health monitoring using our manual. We are also providing training to the local NGO partner, AMA, and the government’s fisheries department and agencies to increase capacity and policy-level support for LMMAs.